The Greatest Stingray Comic Ever Written! 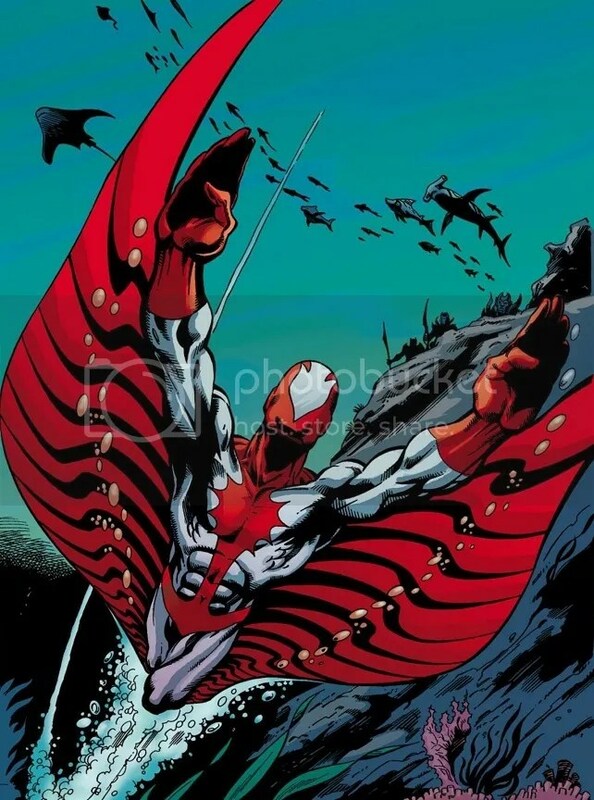 I don’t know why, but I’ve been on a real tirade about the superhero Stingray for awhile now. I’ve always been a fan of the character, ever since I discovered him flipping through some of my dad’s old comic book periodicals when I was a kid. He’s just plain neat, with a really cool costume. And this past week, I discovered the greatest Stingray comic ever written. Majestic as all get out! 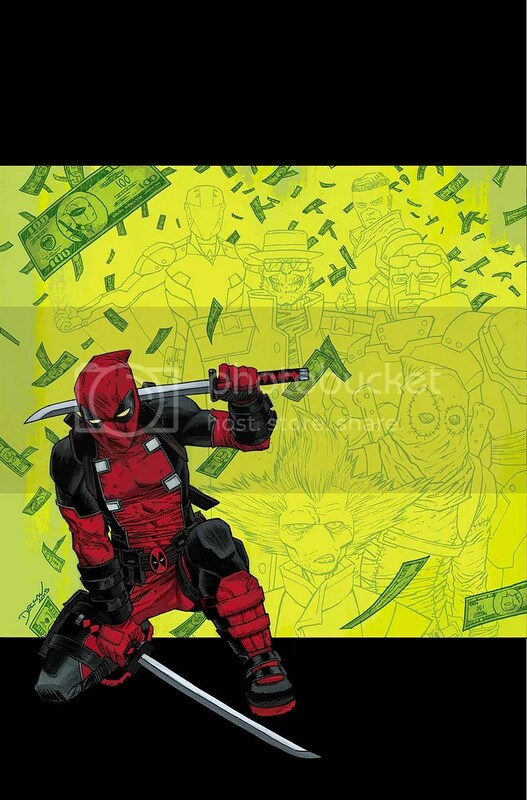 Big props to Henchie chipsiup for pointing me towards last week’s Deadpool #7, which featured a back-up Stingray comic written by Tim Seeley, with art by Mike Norton and Veronica Gandini. The comic also features back-up stories about Terror, Foolkiller, Slapstick and the other Mercs for Money, but I didn’t read them. So maybe this was also the greatest Slapstick comic ever written. We’ll never know. All that matters is that Seeley, Norton and Gandini have produced something truly amazing. I say this without sarcasm or irony. I’m not making fun of anybody. I’m literally just a really big Stingray fan, and this creative team fulfilled every single possible nerd desire I could possibly have about the character. 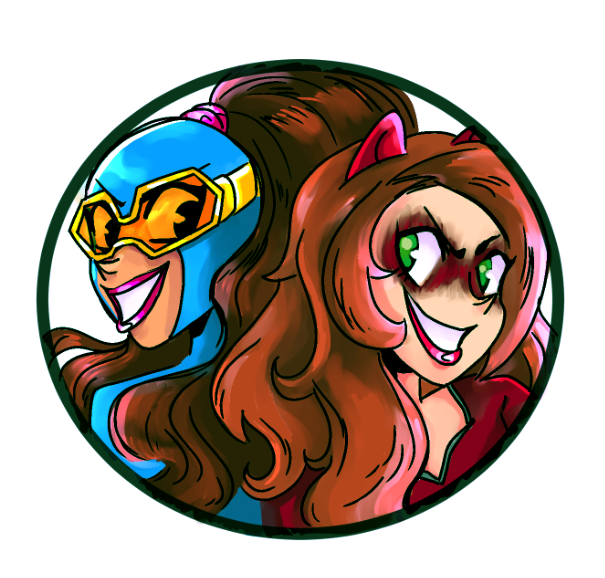 They explain why he’s teamed up with Deadpool and the Mercs for Money, it gives us insight into Stingray’s personal life, and more important than that, it’s the greatest possible showcase of just how cool Stingray can be. So join me after the jump, if you’d like, to see just how amazing I found this short little comic. SPOILERS, in case you want to go out and find it yourself. It’s pretty freakin’ great, you guys. This might be the weirdest comic review article of my long blogging career. I don’t want to spoil anything, but the latest issue of Batgirl really hits home for me in a lot of weird ways. Especially when you consider it features a villain who can read and alter minds…but you’ll have to read on to find out what I mean! Beyond the new Batgirl, this was a solid, enjoyable week of comics. We got new Iron Man and Captain Marvel comics, as well as Miles Morales’ debut in the regular Marvel Universe! I was against this idea from the beginning, but the execution isn’t half bad. 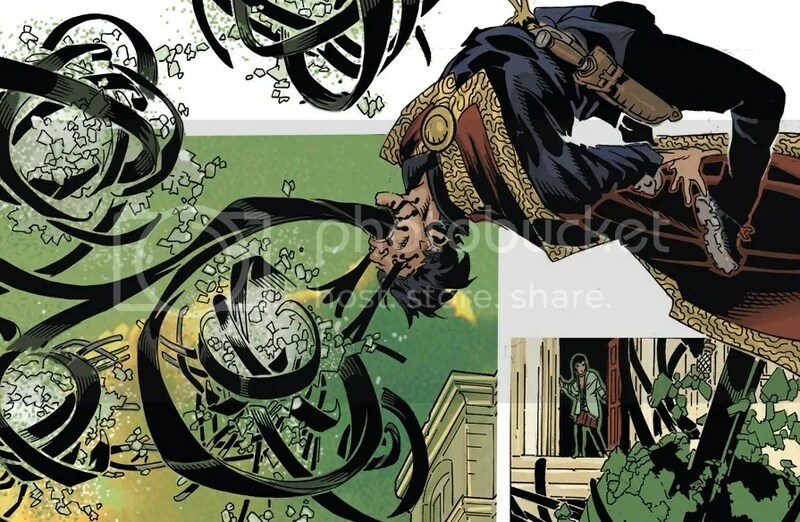 Comic Book of the Week goes to Doctor Strange #5. Writer Jason Aaron is hitting it out of the park with this opening storyline! I hope the Doctor Strange movie is even half this cool. I’m sure Benedict Cumberbatch can pull this off. Comic Reviews: Batgirl #48, Captain Marvel #2, Deadpool & The Mercs for Money #1, Doctor Strange #5, Invincible Iron Man #6 and Spider-Man #1. How Do We Make This Action Figure a Reality? For awhile now, comic books have been featuring these action figure-style variant covers. I don’t buy variant covers, so for the most part, I just looked at these and smiled, waxing nostalgic, as is their purpose. Until today. 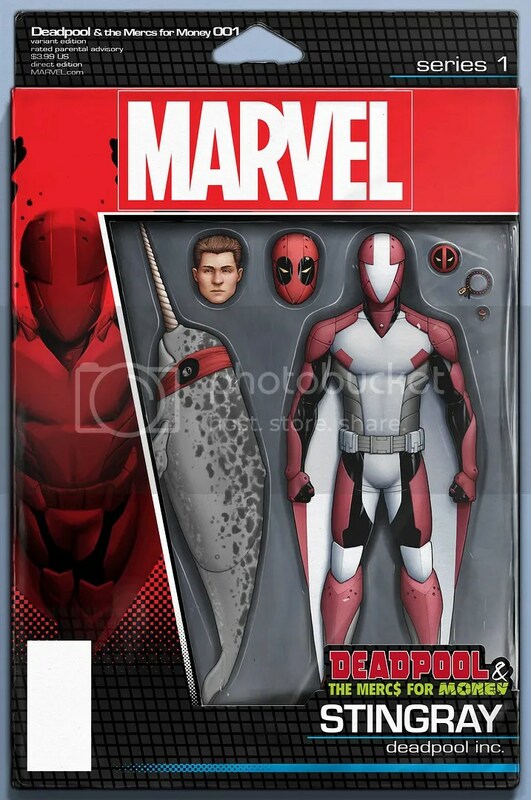 The action figure variant for the new Deadpool spin-off comic, Mercs for Money, was unveiled and I absolutely must own this Stingray action figure. You do not understand the lengths I would go to to own such a sweet Stingray action figure. The new costume looks amazing, and I don’t even care that he’s Deadpool-themed. Whatever! Stingray is getting more exposure! If the greater world reads even one of my blog posts this year, let it be this one, and Marvel make this action figure! Granted, they’ve yet to listen to my pleas about a Multiple Man action figure, but whatever. A guy can dream. Stingray is Back in the Saddle! When it comes to comic books, I’m a very character-focused guy. I read the titles that my favorite characters appear in. Simple as that. And when one of my obscure favorites pops up in a random place, I celebrate a little inside. Case in point, it seems that Stingray is going to join Deadpool’s team of mercs in February! It’s not exactly his usual sort of thing, but when you’re as obscure as Stingray, you take what you can get. I don’t know what the comic will be about, but I bet it will be humorous. And Stingray might even have a new, more technologically-advanced design to his costume! Looks like I might have to start reading a Deadpool comic again. Also, while we’re on the subject, I love that Slapstick redesign! Now there’s an obscure character who needs to get more love.